Explanation: Clouds of glowing hydrogen gas fill this colourful skyscape in the faint but fanciful constellation Monoceros, the Unicorn. A star forming region catalogued as NGC 2264, the complex jumble of cosmic gas and dust is about 2,700 light-years distant and mixes reddish emission nebulae excited by energetic light from newborn stars with dark interstellar dust clouds. Where the otherwise obscuring dust clouds lie close to the hot, young stars they also reflect starlight, forming blue reflection nebulae. The tall, telescopic mosaic image stands up about 3/4 degree or nearly 1.5 full moons, covering 40 light-years at the distance of NGC 2264. 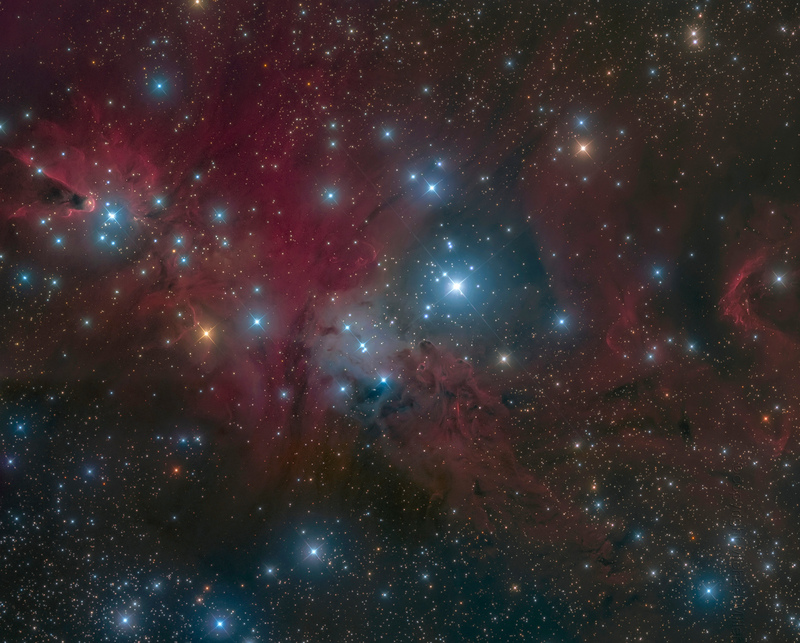 Its cast of cosmic characters includes the the Fox Fur Nebula, whose dusty, convoluted pelt lies just left of centre, bright variable star S Monocerotis immersed in the blue-tinted haze right of the Fox Fur, and the Cone Nebula pointing down from the top of the frame. Of course, the stars of NGC 2264 are also known as the Christmas Tree star cluster. 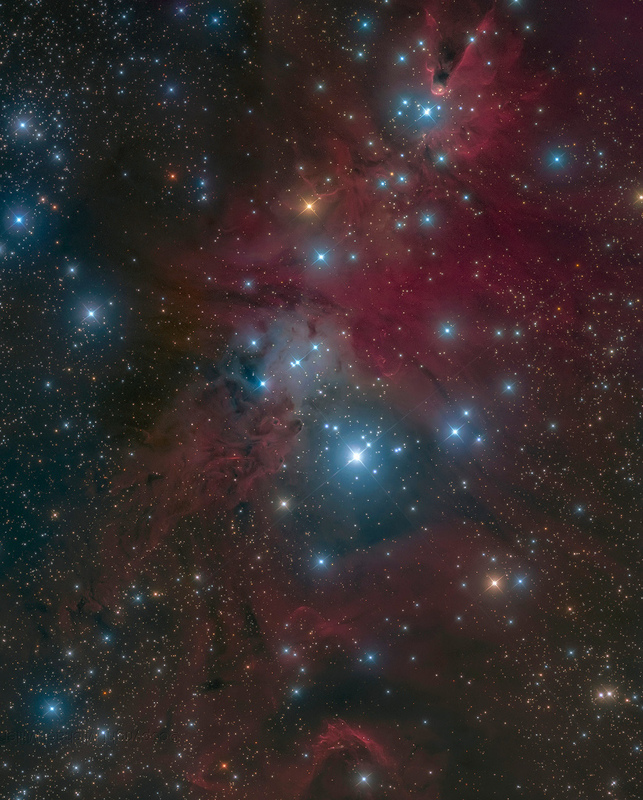 The triangular tree shape traced by the stars has its apex at the Cone Nebula. The tree's broader base is centred near S Monocerotis.